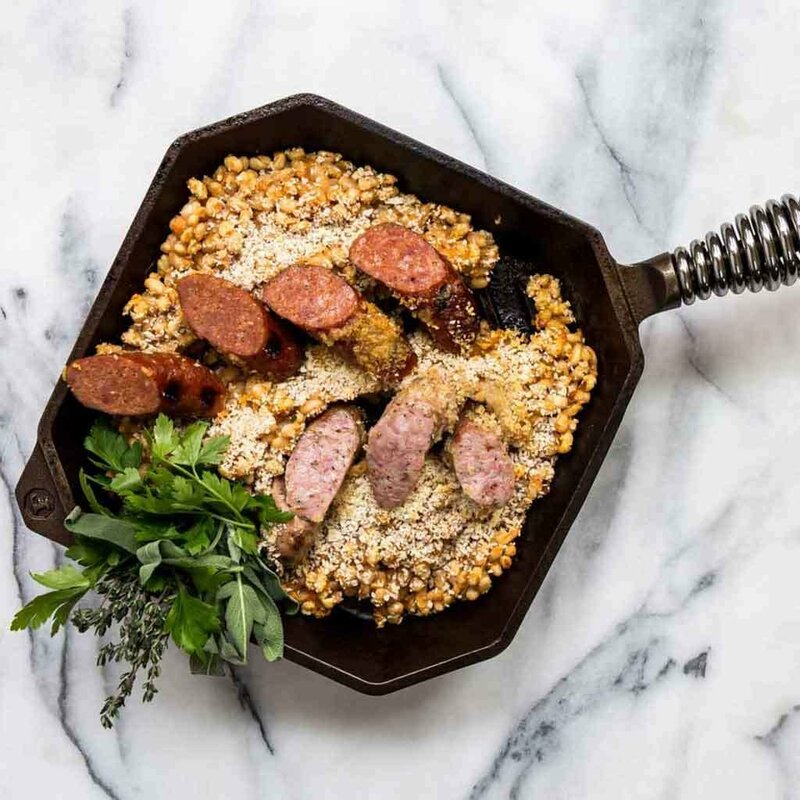 Dimensions: 18.25" x 11.8" x 3"
Each pan is assembled locally to exacting standards by hand from premium American cast iron, polished stainless steel and a brass cap on top. 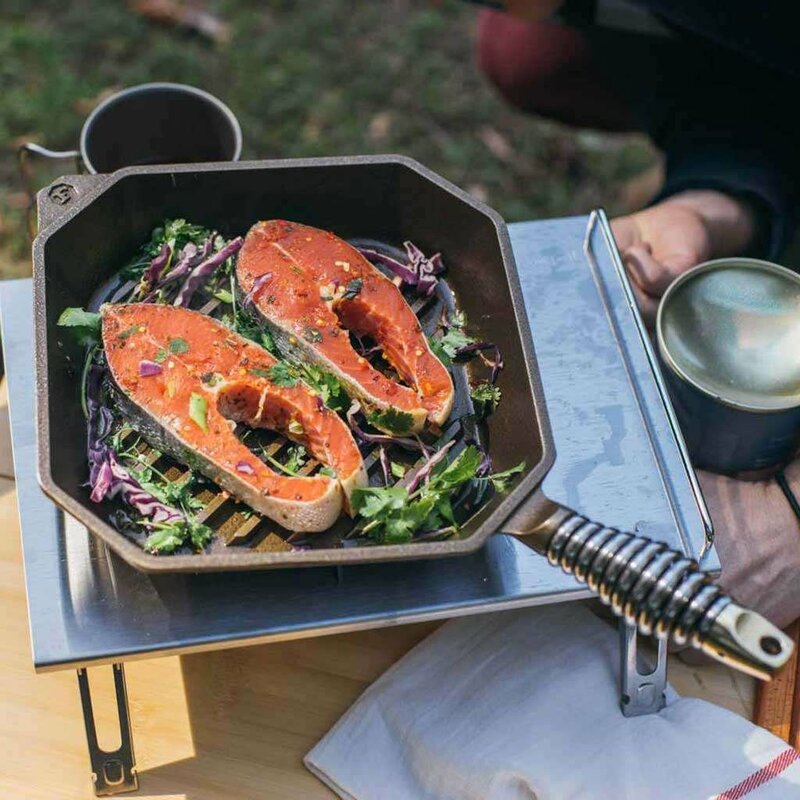 The thick cast iron makes this grill pan built for long-lasting heat retention on stovetops, ovens, grills, campfires and other cooking surfaces. 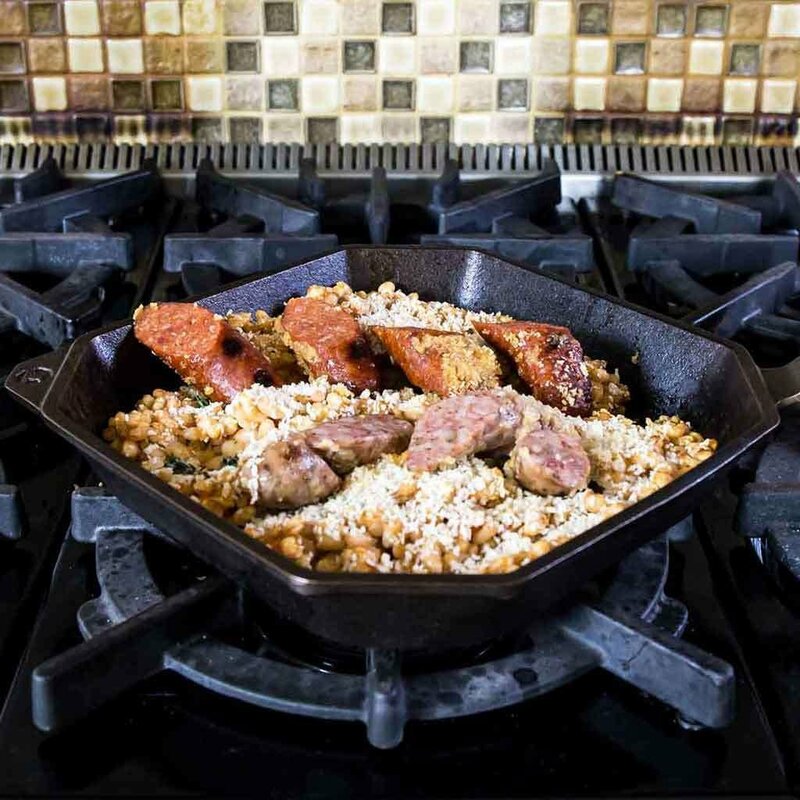 Each pan is made with extra-wide and extra-deep grill ribs patterned after commercial BBQ grates so you avoid unintended frying. 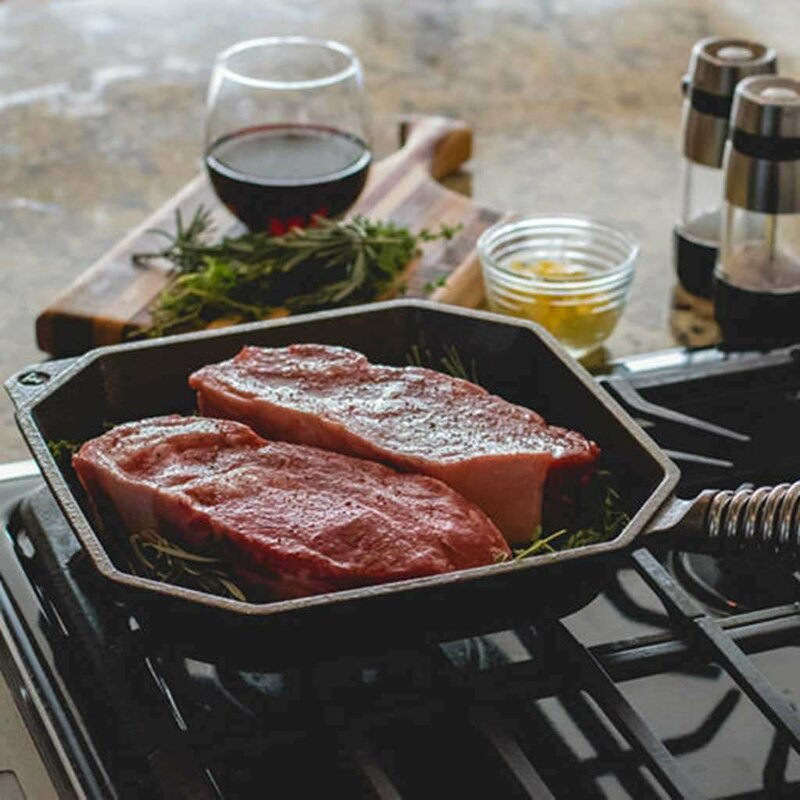 An easy release polished cooking surface means less sticking, less splatter and less fussy cleaning with this pan.